In this heat, the old stalwart sides ilke steamed vegetables or sauted leek and cabbage don’t quite cut the mustard. In summer, we want celebration sides to match the excitement of holidays, the promise of sunshine and those long balmy evenings. Sometimes I stall a bit, and forget all my favourites from the years before, so here are some of our most beloved recipe to save your meals from sliding into mundanity this summer. Thinly slice 1 inch-sized pieces of maris piper or baby potatoes, toss them with sliced green peppers and sliced brown onion with olive oil and salt. Roast until cooked and let the aroma fill the house. You’ll be drooling well before dinner is ready. Using fresh (or frozen) corn kernals, saute on high with finely sliced green onions, corriander or basil, diced peppers, a whisper of chili powder, salt and plenty of black pepper. You can also add finely diced courgette for that extra kick of veg. 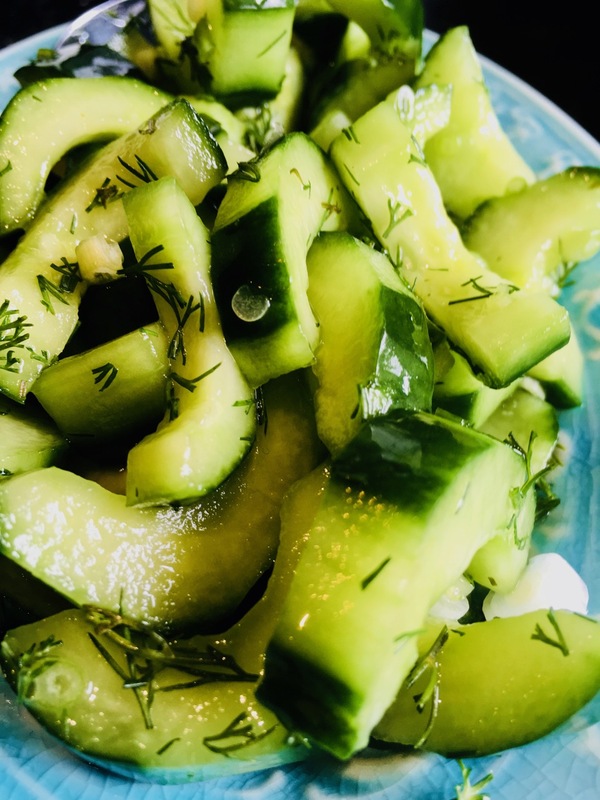 Mixed de-seeded slices of cucumber with vinegar, salt, green onions, sugar and dill. Serve with grilled meat or BBQ for a fresh alternative to a green salad. 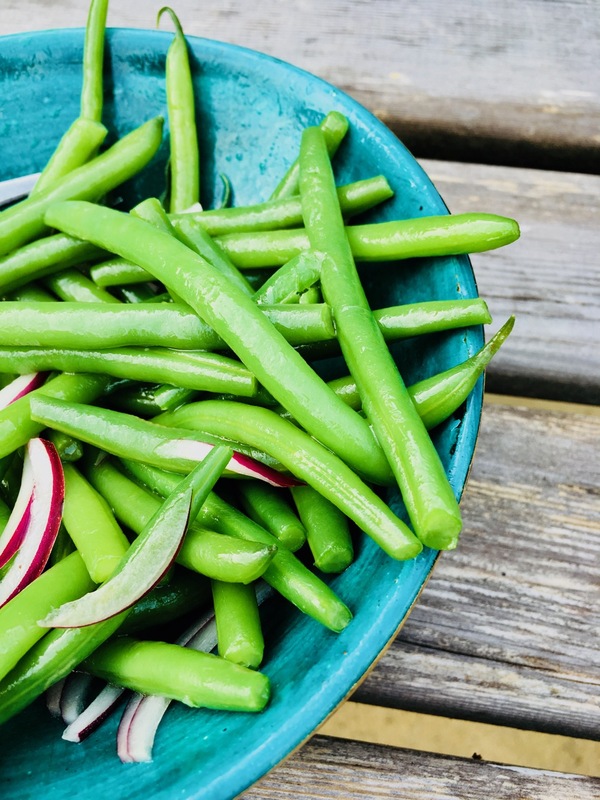 Steam a packet of French green beans, plunge into cold water and bring to room temperature. Combine with finely sliced red onions, and dress with olive oil, vinegar and salt. 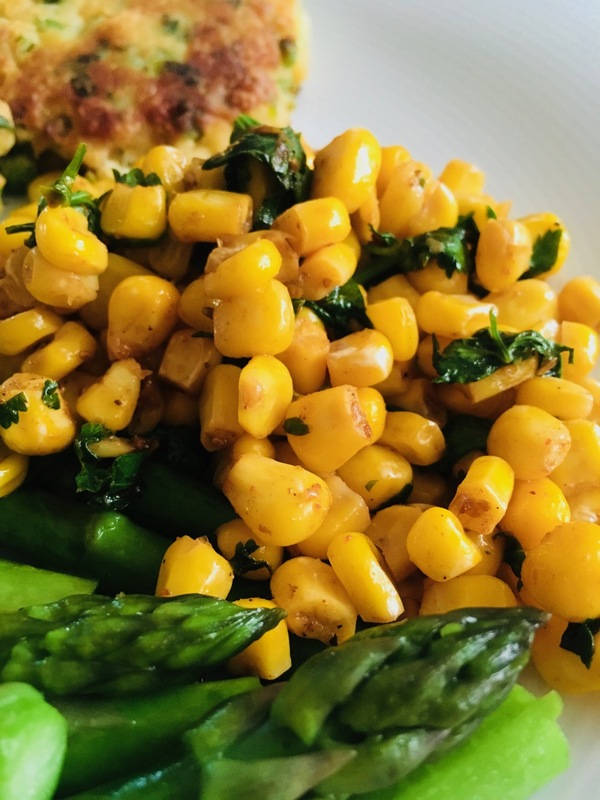 A nice change to plain old steamed beans and just as nutritious.